Sleigh rides, snow angels, hot cocoa by the fire. There’s so much winter-ful fun to be had, and our newest Buddy, Sammy the Snowman, is just the frosty friend for the occasion! SAMMY THE SNOWMAN IS NO LONGER AVAILABLE. CLICK HERE FOR ALL OUR AVAILABLE SCENTSY BUDDIES. Also known as Santa’s other little helper, Sammy loves playing indoors or out, and will make a sweet under-the-tree surprise or early holiday treat for kids (and adults!) of all ages. But don’t wait! Sammy is only available while supplies last, then another Buddy will take his place. Every Scentsy Buddy features a zippered pouch to hold your favorite Scent Pak fragrance. 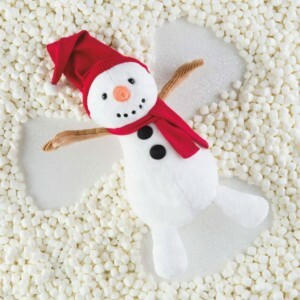 Sammy the Snowman is $30 and comes with a Scent Pak of your choice.